When our ancestors first built their mills in this area, those waterways were surrounded by vast forests and the waterways were sparkling clean. But today, our waterways are surrounded by buildings, roads, parking lots, and farm fields. And our waterways just aren't as clean as they could be. But if everybody does their part and takes some simple steps to make a difference, our rivers could be clean and sparkling again! You hate stepping in it. And fish hate swimming in it, too! 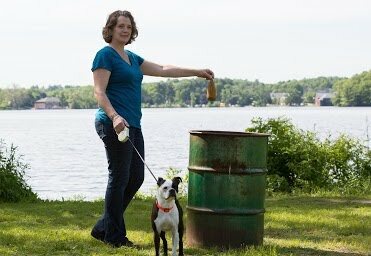 Regularly scoop your dog's poop from public areas AND your back yard, before it washes into our waterways. Pet waste left on grass or sidewalks doesn't stay there. Every time it rains, the waste breaks down and washes into our rivers. You can put the waste in those handy pet waste stations that are popping up everywhere, though any outside trash can is just fine. 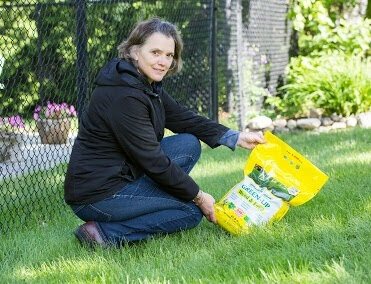 If you need to use fertilizer, slow release and phosphorous-free fertilizer are safer for the environment. And if your yard doesn't need fertilizer, there's plenty that you can do each spring. 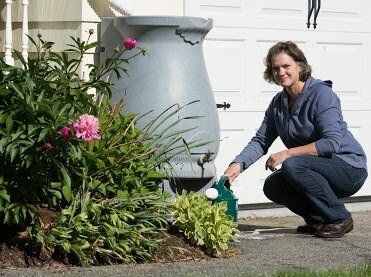 You can spread fresh grass seed, aerate your soil, and plant some of those native shrubs you've been eyeing. In the spring, bag your grass clippings for curbside pickup. 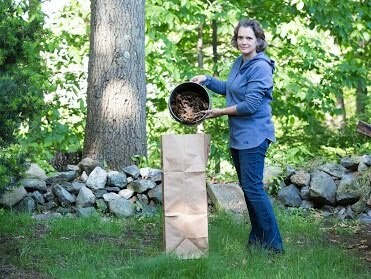 Even better, compost them to make a natural fertilizer for your garden. But whatever you do, don't dump them in a storm drain or leave them on the sidewalk! 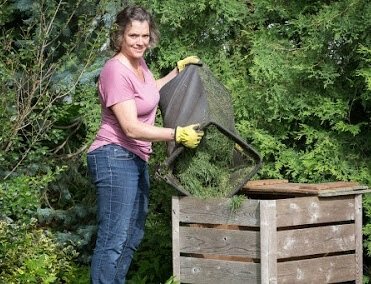 When grass clippings decay in your composter, that's healthy fertilizer. But when they rot in our streams, that's water pollution! After enjoying the fall foliage, bag your leaves for curbside pickup, or mulch them. Remember, never dump them in a storm drain or leave them on the sidewalk! Mulched leaves also make great fertilizer. But when they rot in our streams, that's water pollution!